Selena Souders is a rare and accomplished talent in the realm of beautifying spaces. For the past 25 years, she has carefully cultivated her relationship with the natural world by harmonizing her point of view with a wide array of projects that both please the senses and benefit the ecosystems of her clients' distinct locales. Her much-loved aesthetic is rooted in generations of naturally gifted 'green girls' and derived from her botany studies at the University of Texas, Austin. Her hard-earned internship experience at the New York Botanical Gardens inspired her to commit to garden design as a passionate career path. 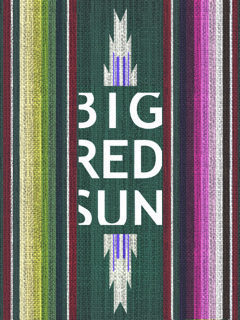 In 1994, she launched Big Red Sun, which to this day beautifies and expresses diverse native landscapes from the Texas Hill Country to the coastal communities of Southern California. As CEO, Creative Director, story-boarder, installation engineer, botanist, and also, a loving mother, Selena continues to deliver extraordinary landscapes, hardscapes, and homescapes to those seeking deeper and more meaningful connections to their environment. “The poetry of their landscaping, and the artful way that they handle space provides me with great peace and pleasure. As with any design process, the chemistry between the viewer and designer is all too important."